Chasing Perfection: Will I Ever Get all my Ducks in a Row? Over the years I have often felt frustrated that I couldn’t seem to get all aspects of my life in order at the same time. As I’m furiously juggling my roles as a busy wife, mom, daughter, and friend, I am constantly dropping one ball or another. Just when I seem to have it together in one area, another falls into disarray. For example, when I think I am really managing my time well on the home-front–my house neat and organized, hot meals prepared for the family each night, calendar filled in with all our upcoming activities and meetings–I look up from the piping hot, made-from-scratch casserole on the counter only to find the longing face of my child, whose eyes seem to call out, “Mommy, pay attention to me.” Yep, I obviously was so busy being a good home-manager that I dropped the “good mommy” ball again. Or, when I have finally gotten my eating and exercise habits under control, feeling strong and healthy, having made time for regular workouts, and out of the blue, my anger bubbles over about an irritating habit of my spouse’s– setting our relationship into a nose dive. There goes the “devoted spouse” ball. It just seems I can never get all my ducks in a row. Can you relate? A patient and loving mom. A caring and supportive spouse. An organized and productive homemaker. A committed volunteer. A physically strong and healthy person. A helpful daughter. And, a devoted and consistent Christ-follower. That’s not asking for much, is it? If I come to believe I’m “all that”, I will have no need for God. My struggles, insecurities and imperfections prod me to call out to my Savior for help. And, as His Word says, “Where I am weak, he is strong”. A person who is ostensibly perfect is unrelatable and less likely to have an impact on the world around them. The weak places in my life serve to draw in my brothers and sisters who struggle with similar issues, providing opportunities to encourage them or to win them to Christ. It is satan, the father of lies, who plants in our minds thoughts of coveting perfection, just as he did in the Garden of Eden so long ago. There was only one perfect person who ever lived and that was Jesus Christ himself. Perfection will only be achieved when we are taken home to glory, changed in an instant, to be like Him. So, if I can never really have all my ducks in a row, how do I live with that? My advice to you is to seek wisdom from God as to what is important. As you listen carefully to his voice, he will lead you…moment by moment, day by day, year by year…to focus on what is important in each particular season of life. And know that the loudest thing isn’t always the most important thing. Also, make your relationship with God your number one priority–above spouse, kids, job, church, and self. In addition, as many of us tell our young children when they are playing sports, “Doing your best is more important than winning”. Stop seeking perfection and just do your best. You cannot be all things to all people. 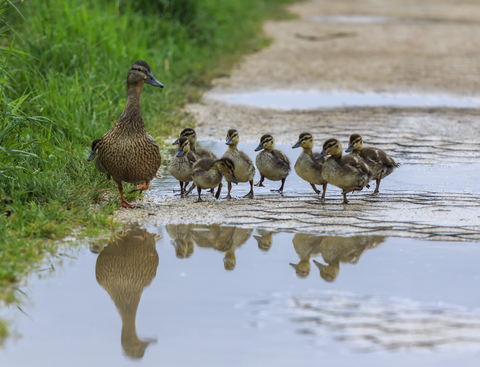 You will never have all your ducks in a row…at least not for very long! Lastly, as children leave the nest, one-by-one, life becomes simpler–in a melancholy sort of way. There are suddenly less ducks to keep in line. For many years now a large part of my focus has been on “mommyhood”. I have absolutely no regrets about that. It’s been my greatest joy. But now, as my last child heads toward college, I find there is more time to focus on other areas of my life. I still have many ducks to keep in line, but I am confident that God will lead and guide me as I let go of perfectionism and seek to be a whole and balanced Christ-follower in a demanding and sometimes frantic, fallen world. I know he will do the same for you! 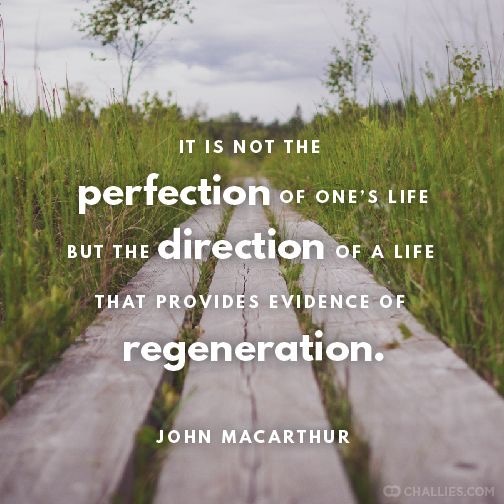 This entry was posted in Parenting, Spiritual Encouragement and tagged Encouragement, motherhood, parenting, seeking perfection, spiritual growth. Bookmark the permalink. 2 Responses to Chasing Perfection: Will I Ever Get all my Ducks in a Row? Wow, this former teacher also understands how easy it is to try to attain perfection in all areas of life, and being a Type A personality doesn’t help. It is amazing how the Father has taught me as I have gotten older. He is so gracious. Our children are both gone and married…and there is plenty of time for those other “ducks” now. Great post, thanks for sharing! Sounds like you can really relate as you are in a similar phase of life! It’s so nice to be a mommy of “littles” but, also fantastic when things slow down and life becomes simpler. Thanks for reading!